Lush Northern Lights Bath Bomb (new) £3.35 - This has been scented with the now infamous Lush Christmas Eve fragrance (Jasmine and Ylang-Ylang) and contains popping candy. It fizzes around the bath in circles like a mini firework and creates a whole medley of blue tones. It really is visually stunning and smells wonderful. I feel this would also be apt for Bonfire Night too? Lush Sparkler Bath Bomb (new) £3.35 - Exactly the same as above only this has been scented with rose notes and contains different colours inside, I could have sworn I took a photo of this but phone is all but calling me a liar. This is yellow in colour and beside fragrance and colour of product it looks identical to the above Lush Northern Lights Bath Bomb. Lush Lord of Misrule Bath Bomb £3.30 - It's backkkkk! A blue outer shell that fizzes away in the bath tub to create a deep wine shade complete with an earthy aroma - vanilla, black pepper and patchouli. A younger family member says it smells like a Witches cauldron, make of that what you will? 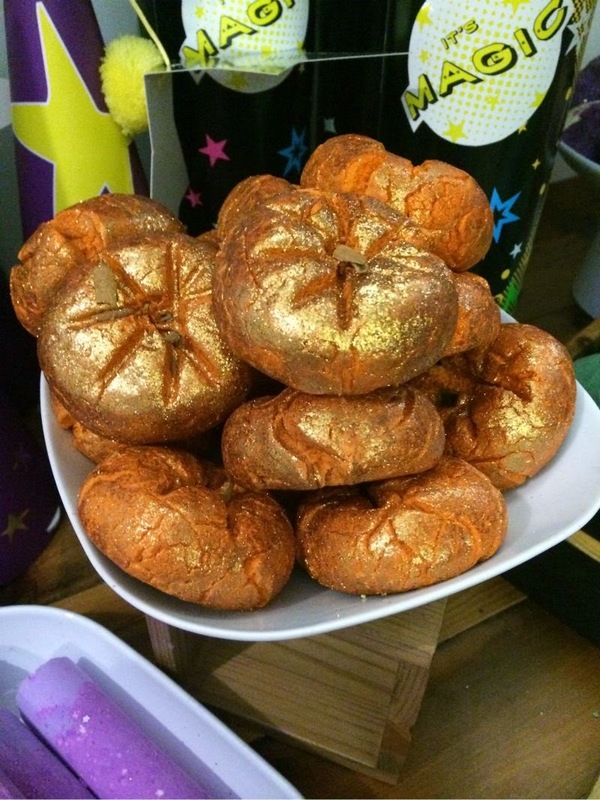 Lush Pumpkin Bubble Bar* (new) £3.50 - Forget Halloween this is the perfect Autumn addition to any bath! Not only is it utterly beautiful to look at but it smells divine! No it doesn't smell of pumpkin which will of course leave some temporarily disappointed but one quick whiff of the lime, blackcurrant and Juniper notes and that frown will be turned upside down. Lush Wizard Bubble Bar* (new) £3.25 - Isn't this the cutest thing ever? To me he looks a little like a Penguin in a Wizard's cloak but then again my imagination does get the better of me at times. Anyway this sweet little bubble bar contains popping candy and has been gently fragranced with notes of Juniper Berry, Tangerine and Ylang Ylang oil. 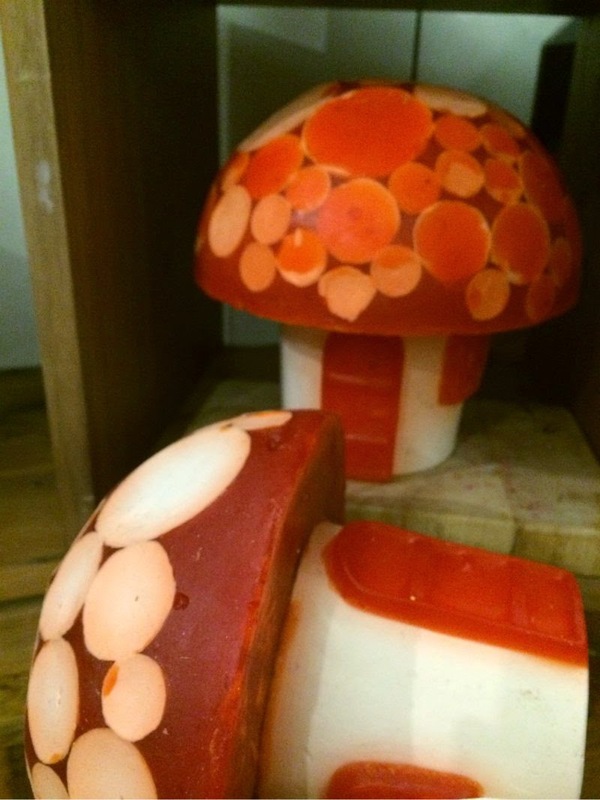 Lush Fairy Ring Soap* (new) £4.10 per 100g - This is a show stopper, if I worked in Lush I wouldn't be able to bring myself to cutting this little fairy home into slices. Oddly this has a strong mushroom fragrance that you will either love or loathe. It is very earthen to say the least and has been scented using the new launched Lush Gorilla Volume 3 Perfume - Mycelium. 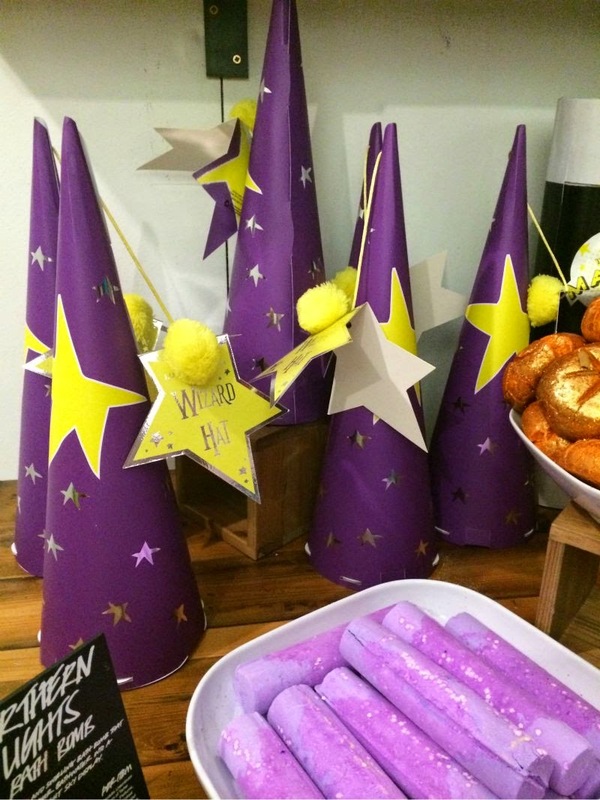 Lush Wizard Hat Gift (new) £12.95 - Contains: Lush Wizard Bubble Bar, Lush Sparkler Bath Bomb and Lush Star Light Star Bright Bath Melt all within a sweet little keep safe box. All items above will launch nationwide on the 4th of October. All items marked with an (*) are limited edition and for Halloween only (they will be discontinued after the 31st of October). The rest of the Halloween range will run up until December the 26th or while stocks last. Yum...can't wait for halloween ^_^. My birthday is also in October so it is double the fun. I've loved Lush ever since I was little and I'm looking forward to all these new goodies to come out! Some of these look amazing! I have a real weakness when it comes to Lush and their bath bombs. So pretty! I love Lush, all their products smell so amazing, and not to mention ethically produced. 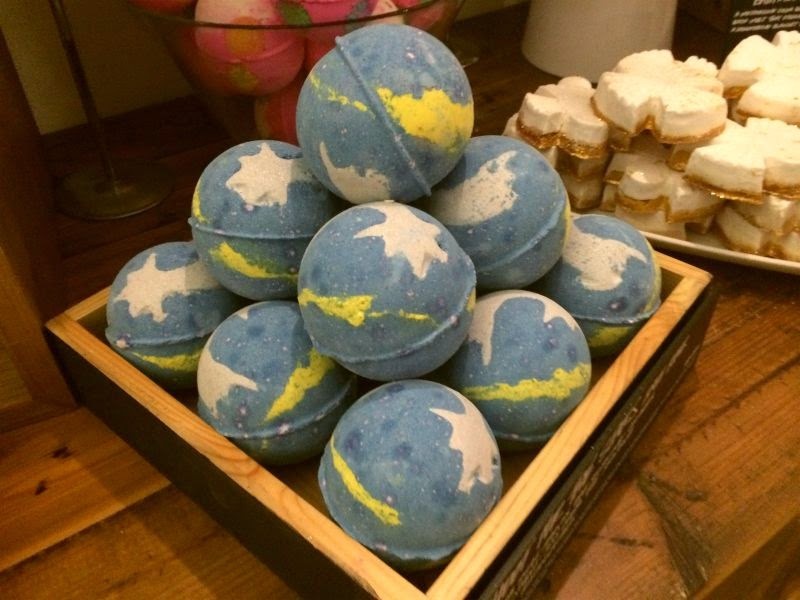 I need the Northern Lights bath bomb! I was literally on the Lush website this morning wondering when the Halloween stuff would be up! So excited now! The wizard bubble bar sounds great. Lush really does know how to the holidays right! I have never been so excited...ekkk!! The Wizard is SOOOO cute! What lovely things! Looks like I will be spending a lot in Lush very soon! Oh My Goodness! I will have to start saving my pennies as I am suha big lush fan and I want eveything you have taken a picture of! 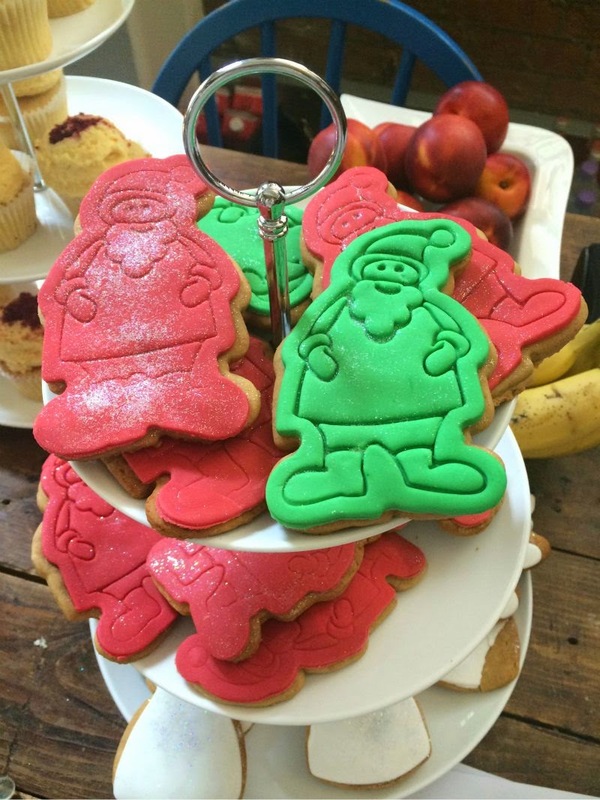 I have done loads of posts on Lush so click the link to see them! Couldn't agree more! This post (and the Christmas one!) have made me start to already panic that I don't have enough money to buy everything I want! May have to ask for a lot of LUSH for Christmas! 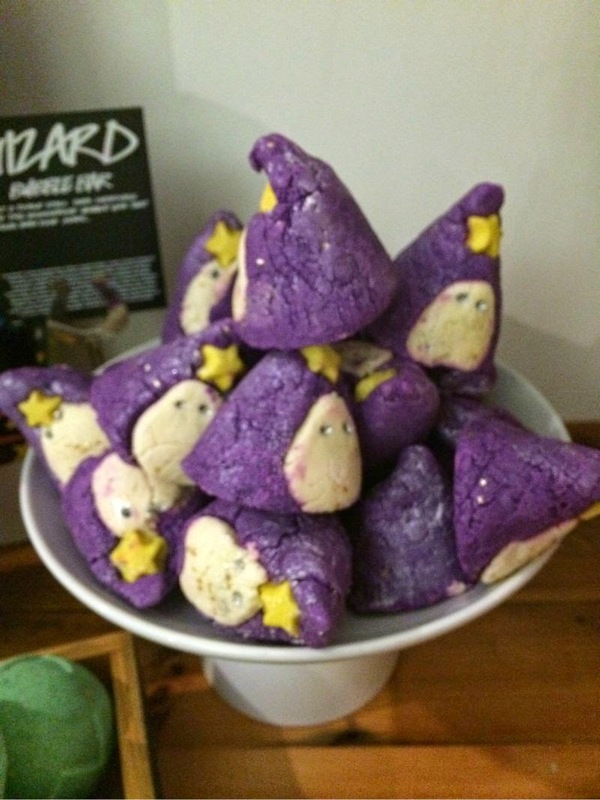 OH MY GOODNESS, the Wizard bath bomb looks SO CUTE. I saw your other post with the Christmas Lush items and they have the penguin version (same shape, etc), but this wizard one to just too precious. The sparkly pumpkin one is spot on as well! Oh my! The one with popping candy sounds amazing!!! There all so cute! I can't wait to get them! I have a major weakness for Lush. Everything looks so darn cute! Can't wait for these to launch! AHHH! These are so cute! (I actually prefer most of these products to the christmas range... I didn't say that..) I can't wait for everything to launch though! You posted the wrong pic for Lord of Misrule. The real Lord of Misrule is a green spherical bath bomb. 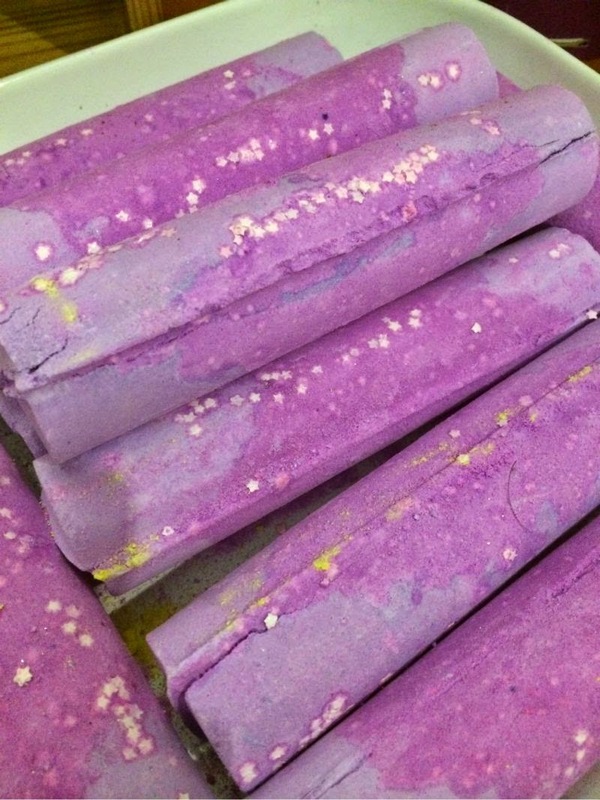 The picture you showed was of Shooting stars bath bomb which is limited edition for Christmas and smells of the famous Honey I Washed the Kids scent. Northern Lights sounds so nice! I'll definitely be getting it to try as you can probably get loads of baths out of that one piece. Northern lights looks like bath time fun! The pumpkin bubble bar looks amazing! Can't go wrong with a bit of themed pampering around Halloween.